Rare blend of Old World Style meets Luxury Mountain Living. 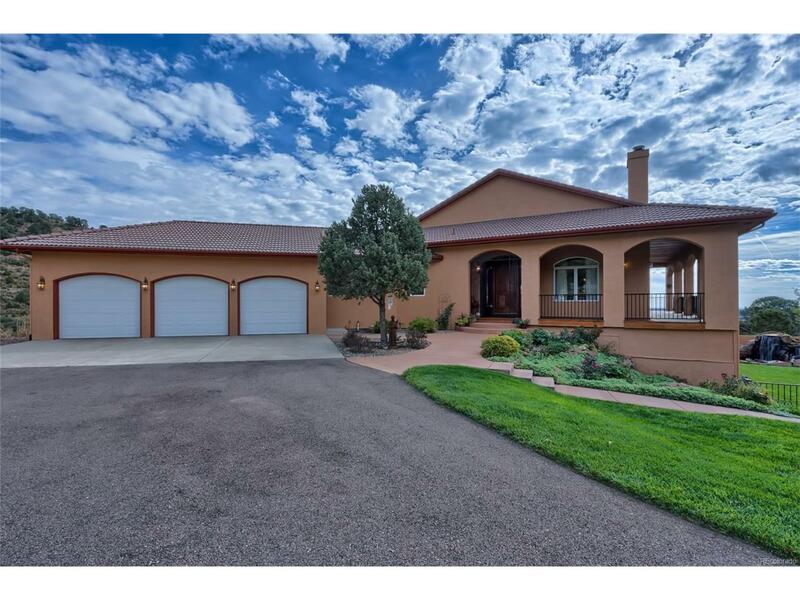 This 35 acre ranch home is surrounded by a level lot and boasts 360 degree views. Due to the extensive amount of windows and their strategic positioning the home offers passive solar power and amazing warmth. Radiant floor heating on Both levels, Central Air and 2 Gas and 1 Wood fireplaces round out the high efficiency comfortable environment. Feels like you are in your own world but home is only 12 minutes from Academy Blvd on Highway 115.